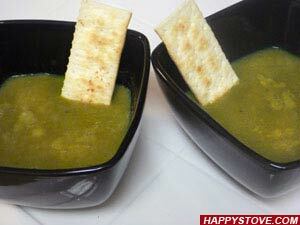 Enjoy a delicious and healthy Sweet Pea Soup that you can easily cook following this easy recipe. 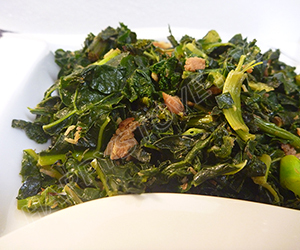 Perfect for the cold winter nights as main dish or starter for your dinner. Clean and wash all the vegetables. Chop onions and garlic finely. Cut bacon into small pieces. Saute the onion in a large non stick pan at medium heat with the oil. When the onion wilts, add the cubed bacon and the sweet peas. Cook for few minutes until the bacon is browned and the peas soften a little. 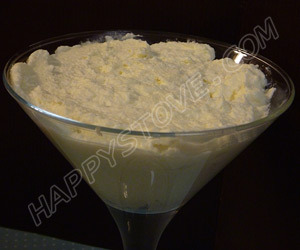 Take the pan off the heat and with an electric blender reduce to a puree. Pour the puree into a saucepan adjusting with hot water to achieve the desired consistency. Add the chicken bouillon and bring to boil. Cook for additional 2-3 minutes. 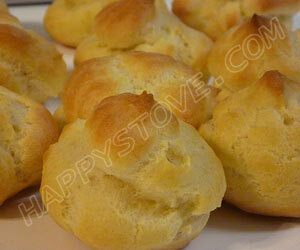 Serve hot with some saltine crackers or topped with melting cheese. You can use chicken broth instead of the bouillon. You can use frozen, fresh or dried peas as well. For dried sweet peas, use about 1/3 of the amount called in this recipe. Combine the strong and deep flavor of the red wine with the bitterness of the radicchio in this Drunk Radicchio Pasta recipe. A delicious and original radicchio pasta with a hearty note. Farfalle Pasta with Zucchini and Bacon is an easy and yummy recipe for your pasta. Enjoy the salty taste of bacon combined with the lightly bitter zucchini flavor for a superb sauce. Carrot, Turnip and Veggie Soup is a delicious and healthy recipe. 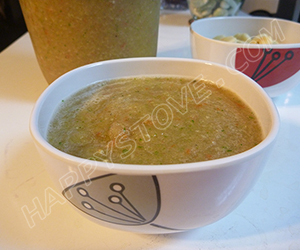 An easy to prepare soup, that you can customize with your favorite vegetables. Perfect either as main dish or starter. Recipe submitted by Alan K.